Robert Hanson, Radio Operator; Vince Evans, Bombardier; Capt. Bob Morgan, Pilot; Jim Verinis, Co-Pilot; Charles "Chuck" Leighton, Navigator. 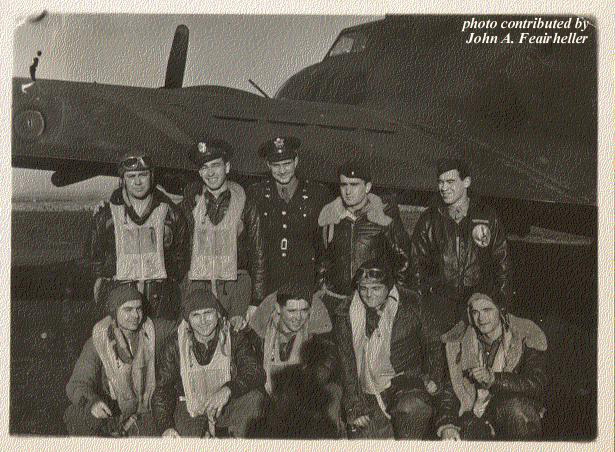 Tony Nastal, Waist Gunner; Eugene Adkins, Ball Turret Gunner; Harold Loch, Flight Engineer/Top Turret Gunner; John Quinlan, Tail Gunner; Clarence E. "Bill" Winchell, Waist Gunner. 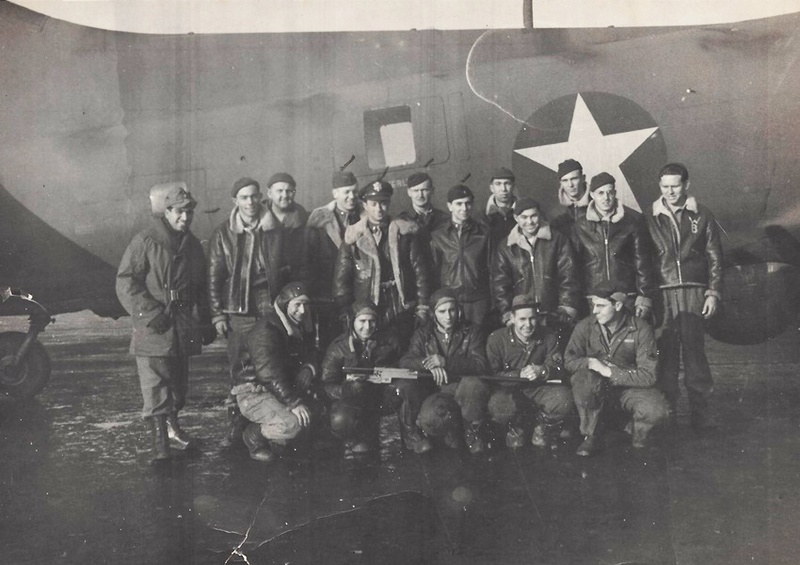 Crew Chief Willis Burrage is in the back row on the far right in a leather jacket.